Studio Urban Wax are a Denver based service business with 9+ years of expertise in skincare, waxing, facials, and airbrush tanning. Previously using Bigcommerce to sell products we explained why switching to WordPress and using the Divi theme would enable Tom to easily manage and grow his online presence. The goal of the new website was to represent the experts that Studio Urban Wax are to their current client base and future clients. Growing their email list and membership was a key focus. The Ventura child them by Divisoup offers some excellent features and page layouts that we customised to suit the new requirements. We installed the Go Pricing plugin to create the array of pricing tables on the treatment pages as the treatments come in various structures, and Go Pricing has proven to be the most versatile plugin to manage these types of table layouts. We also used one of my favourite Divi plugins for the pop-up optin, Divi Overlays lets you create a pop-up via button or click which is unobtrusive and easy to configure. Plus some amazing stock photography from Deposit Photos showcases the wide variety of spa services that Studio Urban Wax offer. Due to a large amount of information required for all the treatment pages, this excellent tutorial by Jason Champage enabled us to use the specialty section to create a responsive fixed sidebar menu with smooth scrolling anchor links. Because the sidebar remains visible and the anchor links smoothly scroll to different sections on the page, the sidebar stays married to the content, making it a helpful UX feature. This combination makes the web page content more accessible and easier to read. Aspen Grove Studios and Caldera Forms combined forces for an amazing collaboration that brings Caldera Forms to Divi. 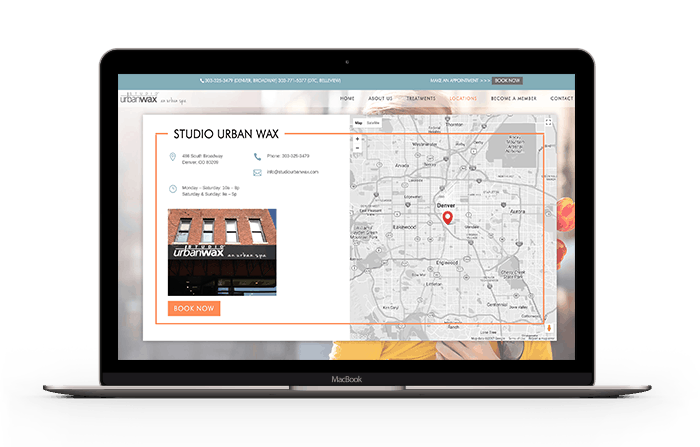 In this example we customised one of the contact layouts to showcase both of the physical locations of Studio Urban Wax and map locations which enables customers to easily book treatments or find the Spas.